During the Georgian period, Antique Georgian tables started to develop into many different forms, as cabinet making became more skilled and new tools were available. The main influence was because of designers publishing new ideas giving cabinet makers more inspiration to create furniture for a newer clientele. 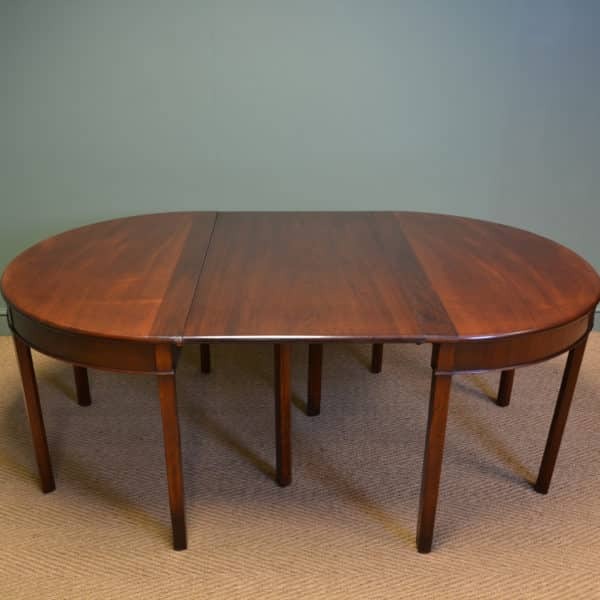 As fine dining was becoming more fashionable, this was the first time larger dining tables started to be made in greater quantities. This would include new developments of extending tables, with D shaped ends used as console tables when not in use and a drop leaf centre. 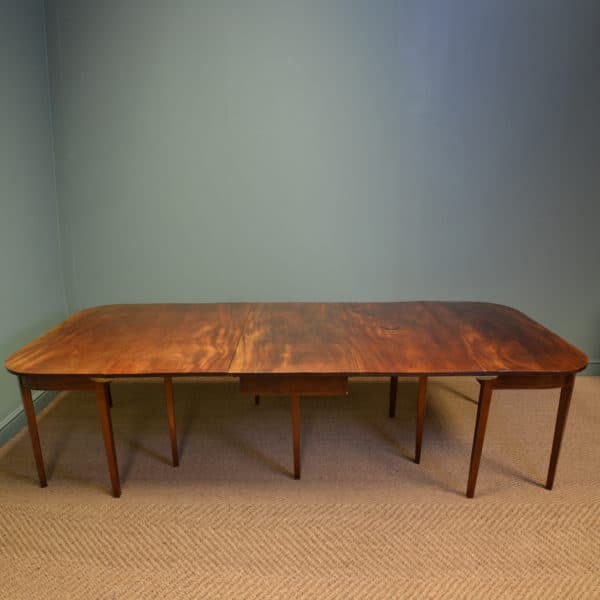 These would join together to make a large dining table to seat as many as 12 people around. But it was not just larger tables cabinet makers focused on, also smaller pieces to fulfil new activities from tripod tables to accommodate the new fashionable tea drinking, special games playing tables for entertaining, to the work table with a bag fitted underneath for needlework and embroidery implements, made especially for the lady of the household. The Georgian period did produce some really lovely quality pieces of antique furniture, Have a look below at our lovely examples available for sale. Below are a few examples of previously sold Georgian tables, but if any particular style looks of interest please let us know as we do get many similar designs in stock and we can try to locate something similar. 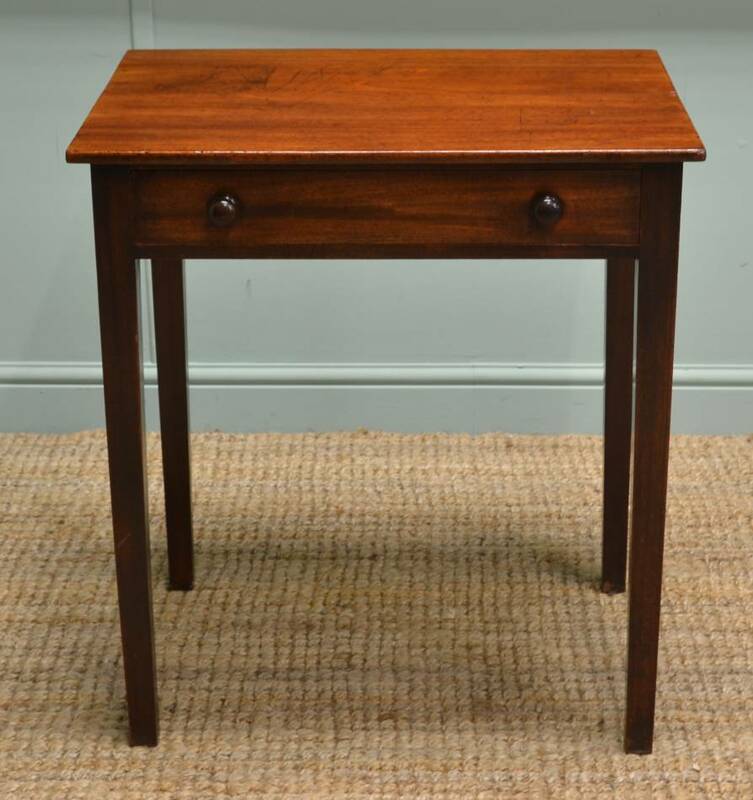 This delightful small side table dates from the Georgian period, circa 1800 and is constructed from mahogany. Its beauty is in its simplicity having clean lines with a refined look. The rectangular top sits above a frieze drawer which displays the original turned handles. 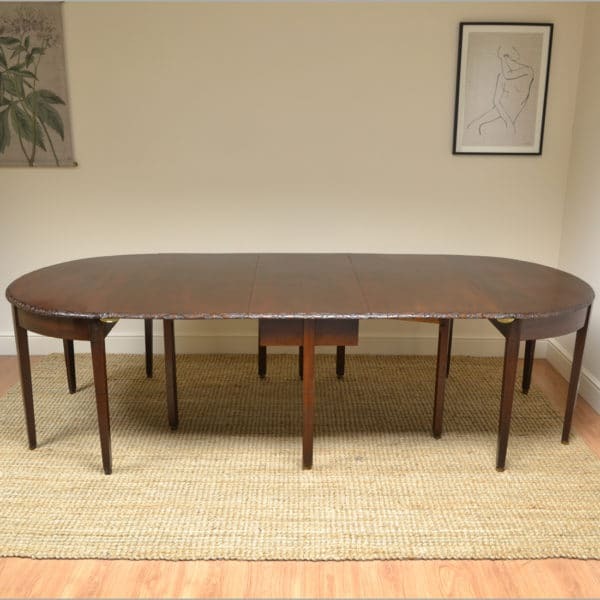 The table stands on four tapering legs and has aged to a wonderful warm medium shade of mahogany. 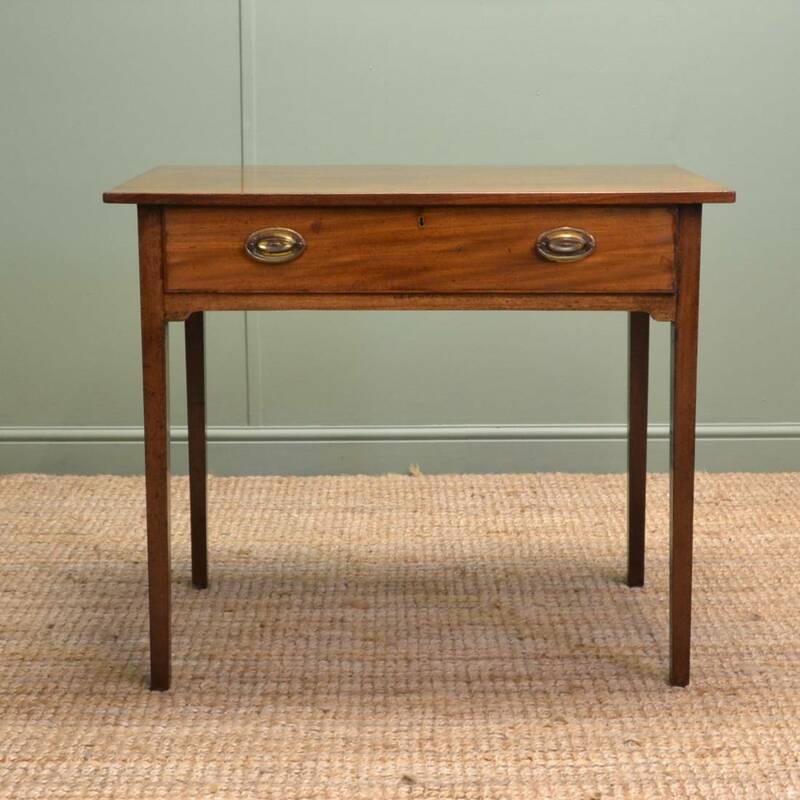 This simple but stylish piece was most probably made for a Georgian country house, not too grand but a household with money to spend. Today it would make the ideal lamp table for the discerning interiors buff. 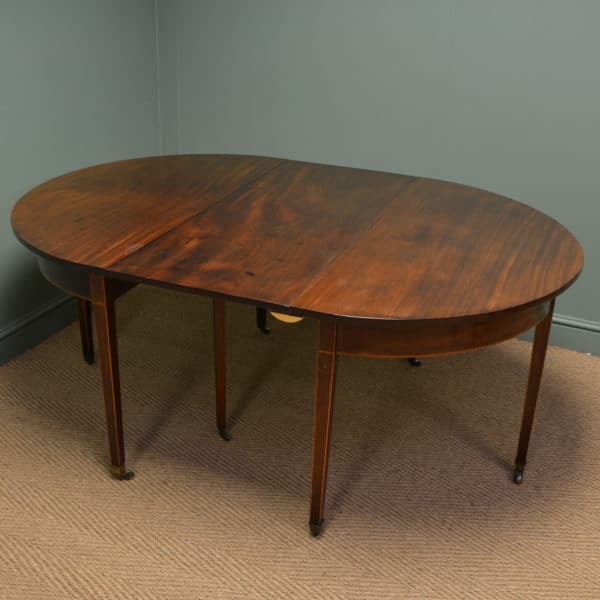 Dating from the Georgian period, circa 1800, this antique mahogany table has a lovely country appeal to it. Full of the charm and character only gained through age and use this very practical side table would make an ideal home for a lamp or precious photos in any living space. 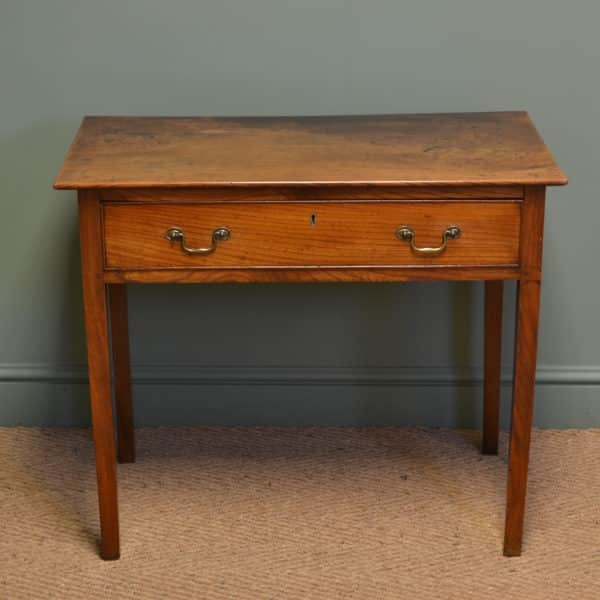 It has a rectangular, beautifully figured top, above a central drawer with period oval brass handles. 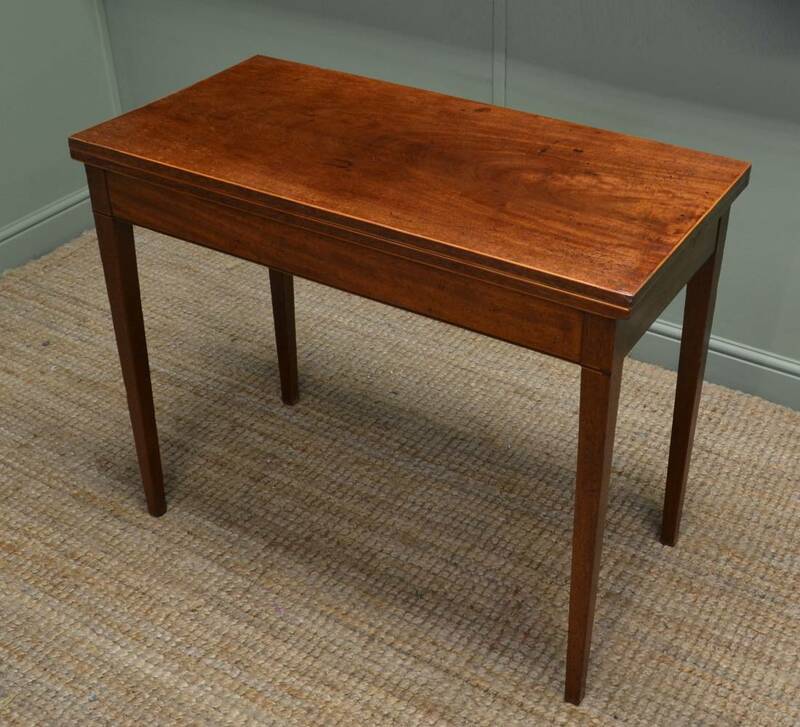 Georgian Mahogany Antique Table. 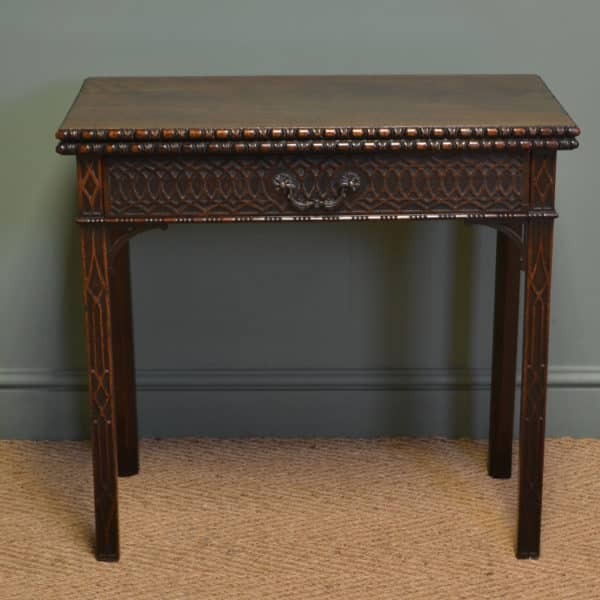 Dating from around 1800 this delightful antique side table is constructed from mahogany. 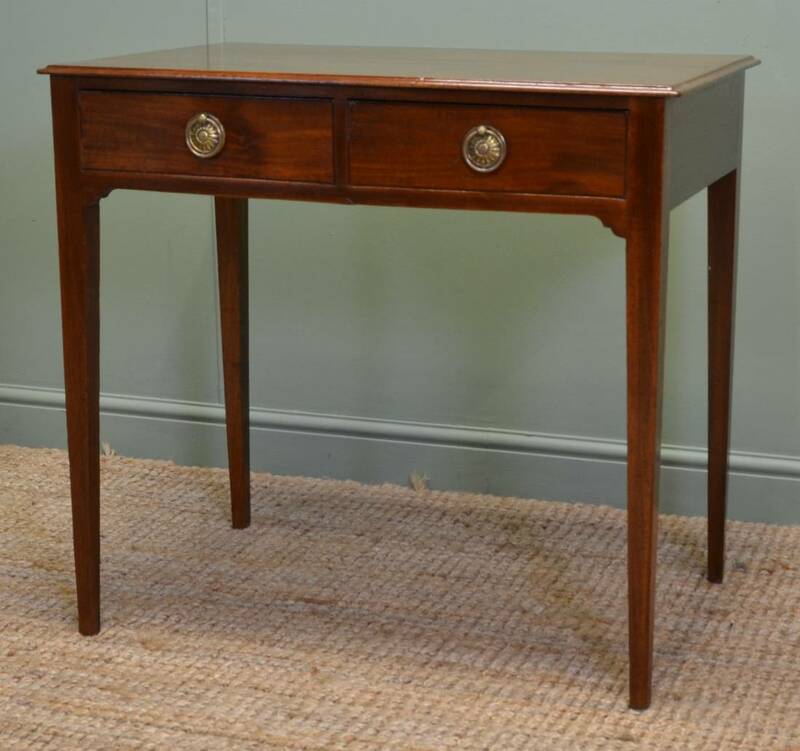 It has a rectangular moulded top above two small mahogany lined drawers fronted by period brass handles. A simply shaped apron sits above the four tapered legs giving it classic, stylish lines. 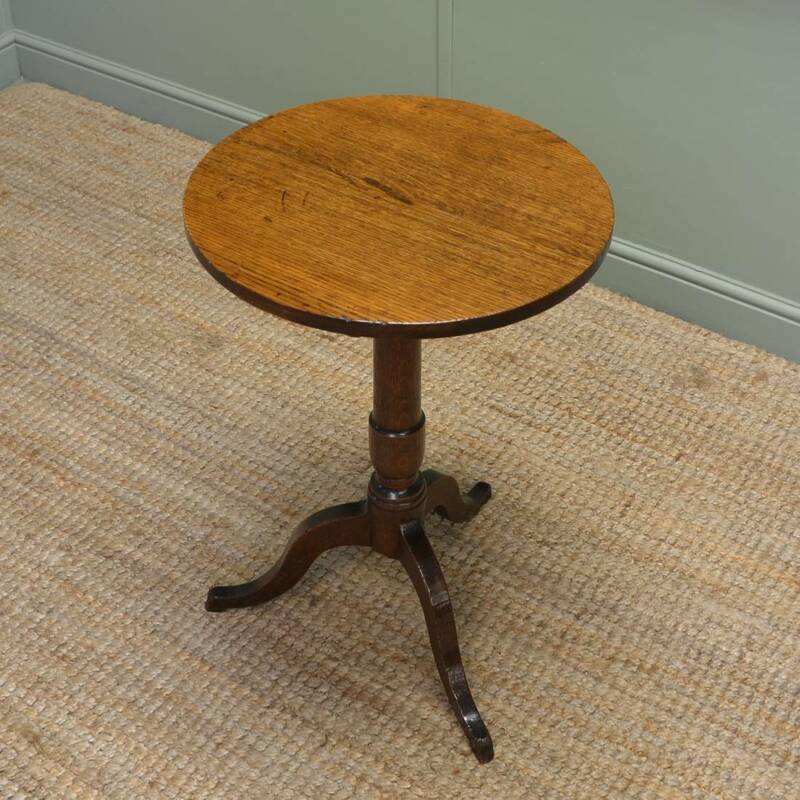 This Small Country Oak Georgian Antique Tripod Occasional Table circa, 1790 has a beautifully figured circular top that tilts on the original brass mechanism. 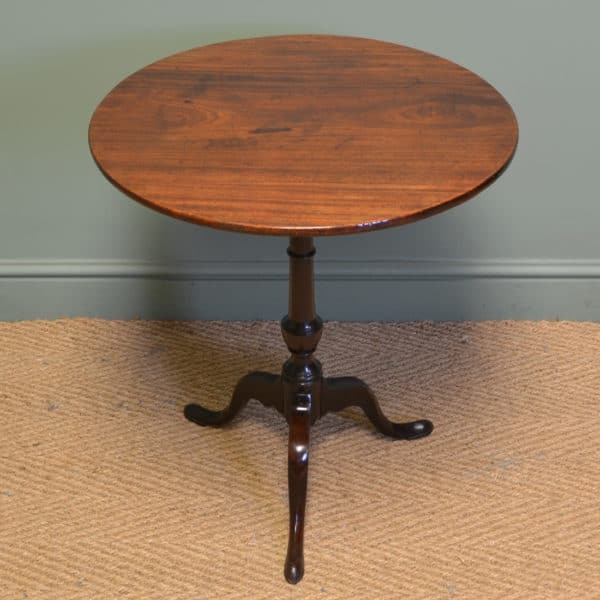 This delightful table stands on an elegant turned pedestal with tripod splayed legs. 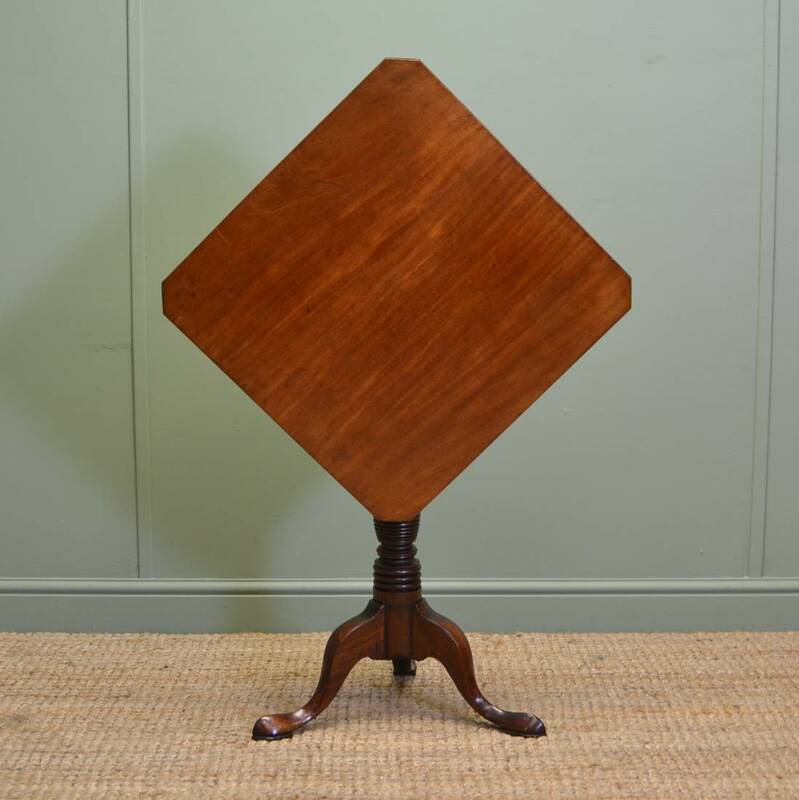 Diamond Topped Georgian Mahogany Antique Tripod Occasional Table. 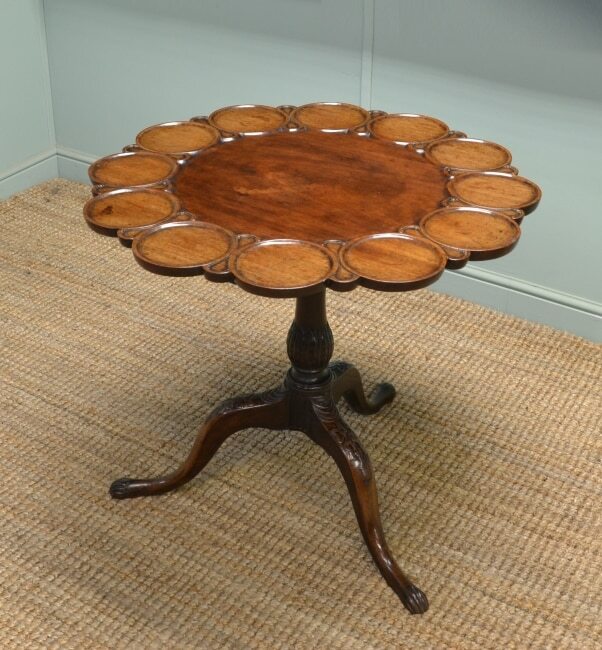 This Diamond Topped Mahogany Antique Tripod Occasional Table dates from around 1790 in the Georgian period. This superb piece has a beautifully figured diamond shaped top with canted corners that tilts on the original brass mechanism. 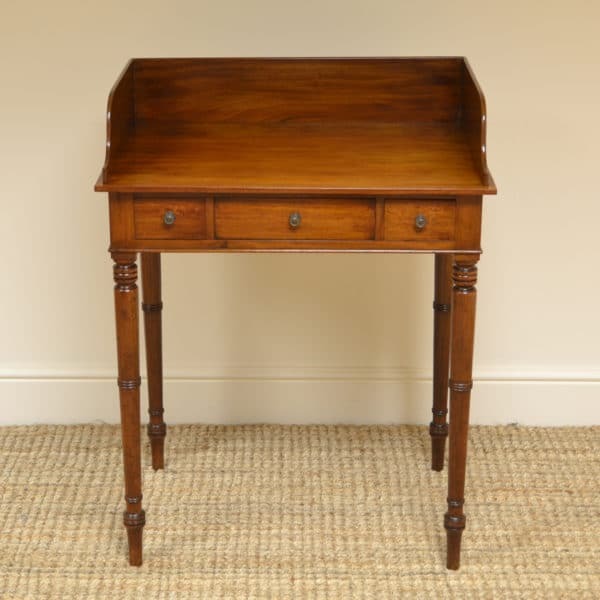 It stands on an elegant turned pedestal with tripod splayed legs and pad feet. 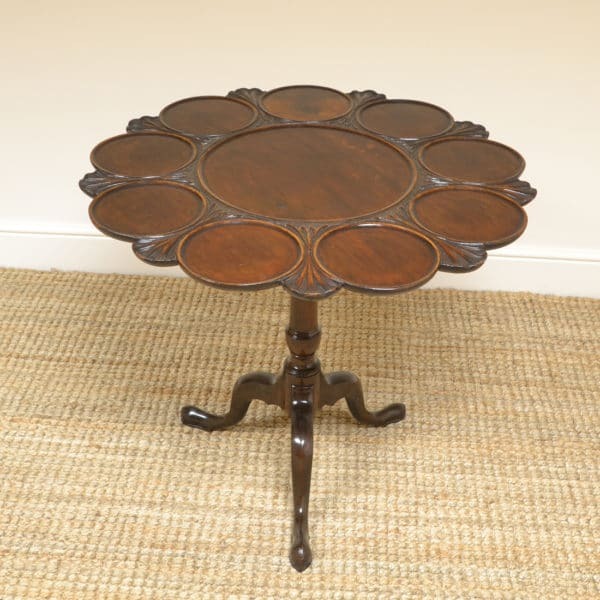 Dating from around 1800 in the Georgian period this country antique tea table is made from mahogany. Simple but practical in design it has a rectangular top, ideal for use as a console table, that opens up to double its size to become the perfect tea table. It has a decorative boxwood string inlay edge which is complimented with ebony and boxwood string inlay found on the front two legs. The back legs operate on a gate leg action to support the table when fully open. It is full of charm and character from years of use but still retains its classic lines.